On a small subtropical island such as Okinawa, it is usually physically impossible to take a road less travelled. However, if you are up to the challenge, you may find a certain small karate dojo in Yomitan to be just that rarely available detour. When I got to Okinawa, I didn’t know a lot about martial arts, though I knew that Okinawa was considered the birthplace of karate in Japan. And, after having watched the Karate Kid movies, I thought it would be great to learn the way of karate at its source. The only problem was that I wanted to study it for my own personal satisfaction and self-improvement, not to fight in the ring or perform for others to see and judge on the tatami. There are many places on Okinawa that will teach you the basic moves of karate, on and off the military bases. 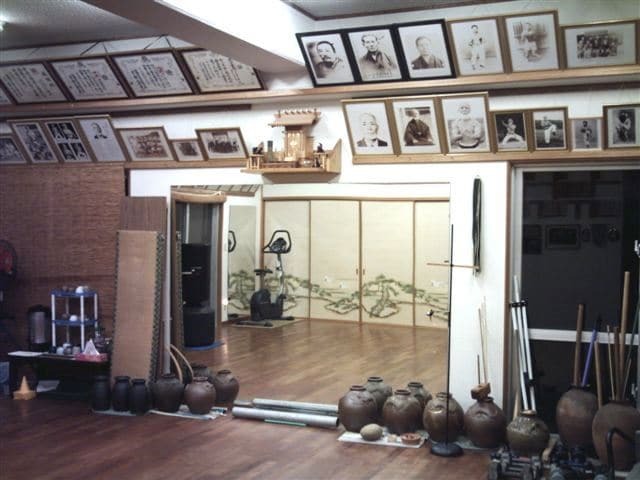 Luckily, I did not know about them when I saw the UechiRyu Zankyokai Dojo in Nagahama Yomitan for the first time. The location, environment, students and, of course, the sensei all made a positive impression on me. My intuition did not let me down since the philosophy, principles, and rules of the Uechi Ryu style have also appealed to my senses. Surprisingly, the teacher (Seizan Sensei) is an American – trained almost wholly here on Okinawa, licensed and certified a true “Hanshi Kyudan” – a 9th degree black belt holder – and the only foreigner residing in Japan holding that rank level in the UechiRyu system. He began training in UechiRyu in 1974 in the States, but has been training on Okinawa since 1979. He teaches classes 50/50 in Japanese and English, so there was no barrier to learning the finer points and more subtle philosophies of the art. His Okinawan wife (Sumako) teaches Yoga on Saturday mornings, too, and is a licensed Thai Masseuse. That’s right – all this under one roof! Most importantly, this dojo offered me an opportunity to train and practice alongside my husband and daughter as opposed to just sitting outside and waiting for the session to be over. An ability to study the principles of karate as a family has been paramount in our quest to embrace this particular way of life. We don’t compete at tournaments in this dojo, so there is no pressure to beat total strangers senseless in front of family members! The dojo is a place where one can do physically challenging exercise, relax with a green tea and a snack during the break period, or it can be a healthy psychological outlet after a long day when you leave all your problems outside the screen door and just practice karate for a few hours. As time passed, the learning process allowed me to understand that true karate is not simply a martial art, but a life art – a true lifestyle. Personally, I can apply the knowledge gained long after I leave Okinawa. In honor of Miyamoto Musashi and his inspirational Go Rin No Sho (The Book of 5 Rings) the following information is for those wishing to visit Japan and various significant Miyamoto Musashi sites of interest. The following is his post with a little added extra information by me. 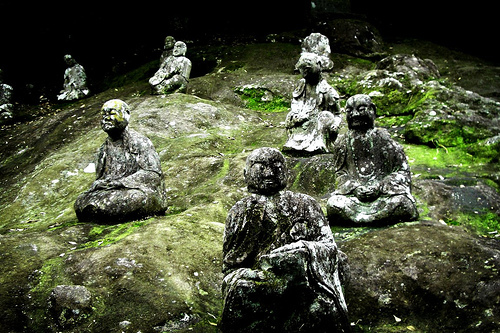 The Reigando Cave (霊巌洞) is basically a small cave in the mountains close to Kumamoto city. 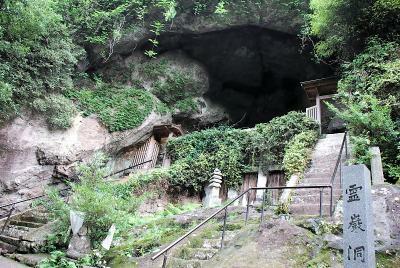 It is on the grounds of the very old Unganzenji temple (雲巌禅寺), and it was here, in this cave, where Miyamoto Musashi was said to have written his treatise the Go Rin no Sho (五輪書) in the early 1640′s. Here is a link to a relevant blog http://kenshi247.net/blog/2011/06/20/kendo-places-11-musashi-no-sato/ and here is a youtube link so you can have a look at the cave. Although this gives a good idea visually of how the cave looks. I really feel that you have to visit these places to feel the connection and the sense of peace. Its all about being truely there. That is after all why we enjoy traveling and why it can be a catalyst for awakening. During Golden Week (May 3-5) a small festival is held in honor of the epic duel fought between the legendary swordsmen Miyamoto Musashi (author of the Book of Five Rings) and Sasaki Kojiro known as the Demon of the West. They met in 1612 on the island which is now known as Ganryujima and when the duel was over Kojiro lay dead and Musashi was victorious. The actual details of the duel are debatable but the legends of it are very persistent. It’s said that Musashi purposely arrived late, unwashed, and carrying a wooden sword he had carved out of an oar on the way over – all of this to unnerve his opponent. Kojiro is said to have struck first but failed to cut Musashi down. Musashi smacked Kojiro on the head killing him or in the some versions finishing him off with a blow to the ribs. And if you do pass through Shimonoseiki to get to Ganryu-jima, I recommend that the more adventurous of you try the “fuku” or Japanses blowfish. It’s the famous fish which can kill if not prepared properly, and rumour has it that chefs have to be specially licensed to prepare it, and that they have to try a piece every time they make fuku.